Our range of products include luxurious mattresses for home and memory foam mattress with cooling gel. 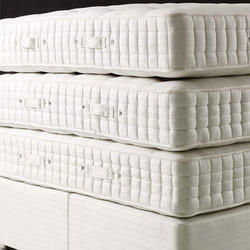 We are one of the leading manufacturer and supplier of Luxurious Mattresses for Home. Size/Dimension 72" x 36" x 6"
* Infused with special Cooling Gel that keeps your body cooler by 4 degree C in summer. Looking for Luxurious Mattresses for Home ?